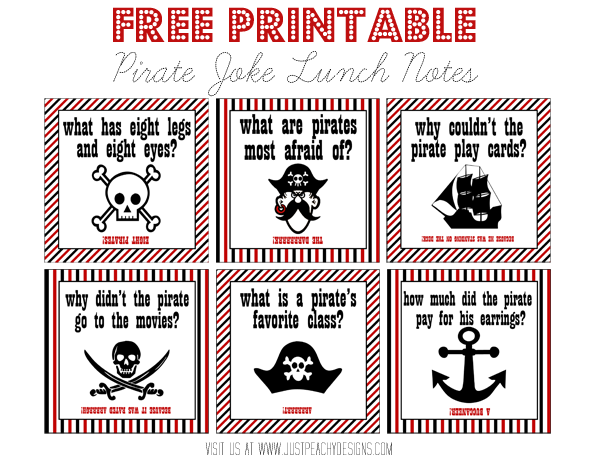 It's time for a new set of printable lunch notes! These have a pirate joke theme. They have been tested on my 6 year old son, and they did get a few laughs. Hopefully your kids will like them too! They're free to download - just click on the image above. Enjoy!